Sections 221(1) to (3) of the Companies (Winding Up and Miscellaneous Provisions) Ordinance (Cap. 32) were repealed and (in effect) replaced with sections 286B and 286C, pursuant to an amendment that came into effect in February 2017. 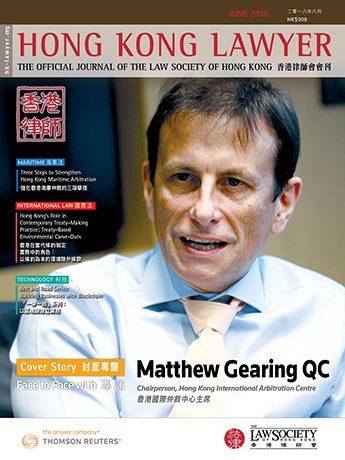 That said, some "section 221 applications" by liquidators, for the production of documents by and the examination of (for example) former officers of a company, are still making their way through the courts – the recent case of Liquidators of China Medical Technologies Inc v Samson Tsang Tak Yung  HKCA 252 is an example. The background is set out in an Industry Insights in April 2015 ("Section 221 and 'Private Papers'"). In brief, section 221(1) provided for the examination of persons with respect to "information concerning the promotion, formation, trade, dealings, affairs, or property of the company" and section 221(3) for the production of records "relating to the company". Allowing the liquidators' appeal, the Court of Appeal decided that, taking into account their legislative history and purpose, these two provisions should be interpreted as basically being coextensive. Therefore, the range of documents that could be produced should be no less extensive than the information that could be examined. Events have been overtaken by the new statutory provisions that expressly provide for both the production of records "relating to the company" or "the promotion, formation, trade, dealings, affairs or property of the company". However, the Court of Appeal's judgment is important for practitioners working in this area. Although individual cases turn on their facts and the discretion of the court, the judgment confirms (as a matter of jurisdiction) the wide range of documents that may have to be produced to liquidators by former directors of a company (both under the old and new statutory provisions) – as is illustrated by the appendix to the judgment, setting out what is referred to as "an extensive range of documents" (including, matters of an apparent personal nature). The judgment also recognises the important functions performed by liquidators – in particular, to investigate the company's affairs and pursue potential recoveries. In conclusion, these developments are a salutary lesson for anyone who might deliberately act against the interests of a company that they are supposed to serve. In these matters, there is sometimes an element of "reverse engineering", with the range of documents to be produced (or the information to be examined) reflecting the court's impression of the evidence before it.